By Katie Allen and Larry Elliott | TUC found that between 2007 and 2015 in the UK, real wages fell by 10.4%, the joint lowest in OECD countries. Earnings have been rising faster than prices since the sharp drop in inflation caused by the collapse in oil prices two years ago, but the TUC warned that households risked a fresh squeeze on their spending power after the vote to leave the EU unless the new government stepped up investment to create better-paid jobs. 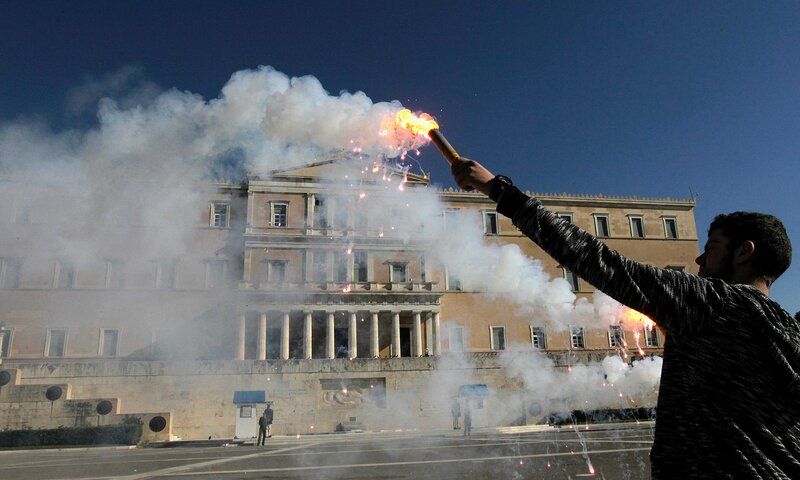 A student holds a flare in front of the Greek parliament building during an anti-austerity protest in Athens last November. The UK, Greece and Portugal were the only three OECD countries that saw real wages fall between 2007 and 2015. The UK’s relatively poor performance on wage growth was highlighted by the OECD in its annual employment report this month. Because of a squeeze since the global financial crisis, real hourly wages were more than 25% below where they would have been if wage growth had continued at the rate observed during 2000-07, the thinktank found. The Paris-based thinktank said that more widely, across its 34 member countries employment had almost recovered to pre-crisis levels but weak wage growth had blighted living standards. The pressure on UK households from weak wage growth and insecure work has also been highlighted by the Bank of England’s chief economist. Calling for a big package of measures to support the UK’s post-Brexit economy in a speech last month, Andy Haldane also explored why the recovery had not been felt by everyone. He concluded “the majority of UK households have faced a lost decade of income” as he noted that half of all UK households have seen no material recovery in their real disposable incomes since around 2005. While wages in the UK have faltered, ministers have sought to instead highlight rising employment. But the TUC analysis found that although the UK employment rate had increased since the economic crisis, Germany, Hungary and Poland had increased employment rates more, while raising real wages at the same time. 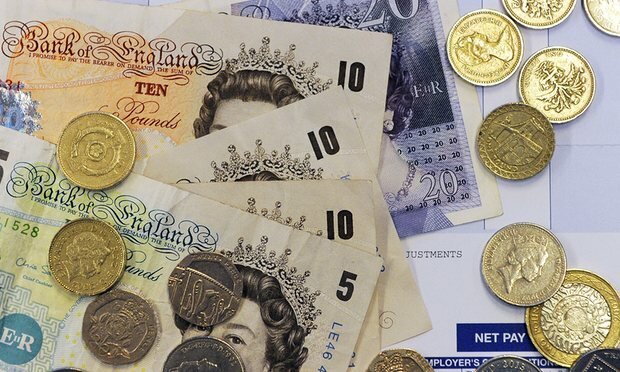 Conor D’Arcy, policy analyst for the Resolution Foundation thinktank said: “The UK experienced the most prolonged pay squeeze in over a century in wake of the financial crisis, with young people feeling the biggest pay squeeze of all. While pay has started to recover in recent years – boosted by historically low inflation – post-Brexit uncertainty is expected to put this much-needed recovery on hold. Posted by Above Whispers on July 27, 2016.